By cupcakeSerenity on December 15th, 2011 . Filed under: Gifts . Here’s an inexpensive (but awesome) cupcake gift for the cupcake lover on your gift list! (Or for yourself, of course.) 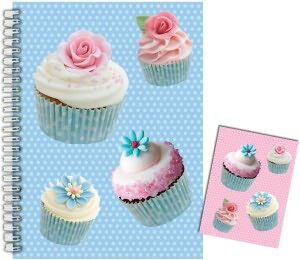 This 140 page lined cupcake journal is now on my wishlist! Find it at Barnes and Noble for only $6.71!